And in fact Buddhism has always emphasized the practice of dana, or giving. Giving hasn’t been seen purely as the exchange of material possessions, however; giving in Buddhist terms includes non-tangibles such as education, confidence, and wisdom. Buddhists are advised to avoid “conceit.” Now in the west we think of conceit as a sense of superiority, but in Buddhism conceit includes thinking you’re inferior to others, AND it includes thinking that you’re equal to others! What’s left? Just not thinking in terms of self and other at all. The ideal in Buddhism is a kind of “flow” state in which we un-selfconsciously respond to others without any conceptualization of there being a self or an other. “The more we seek satisfactions in material goods, the less we find them there,” [researcher Richard] Ryan says. “The satisfaction has a short half-life—it’s very fleeting.” People who put money high on their priority list are more at risk for depression, anxiety, and low self-esteem. The Buddha’s last words were “with mindfulness, strive.” The whole point of being a Buddhist is in order to attain spiritual awakening — which means to maximize our compassion and mindfulness. What could be more meaningful than that? … [these are factors] leading to welfare & happiness. “We don’t just need relationships, we need close ones,” says Yes magazine. 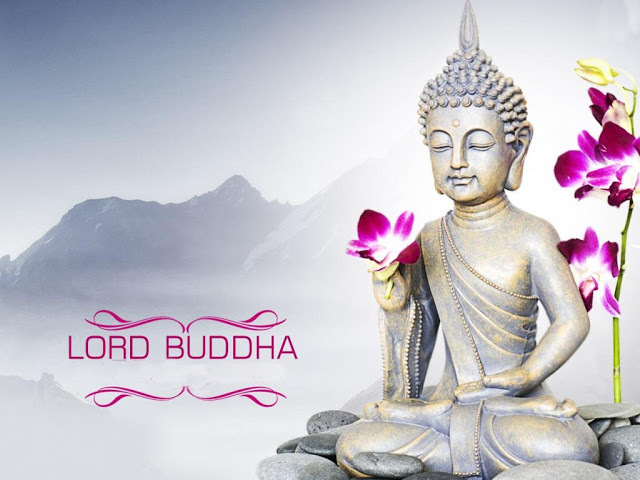 To the Buddha, spiritual friendship was “the whole of the spiritual life.” And even though people tend to think about monks and nuns leaving home, for those who embraced the household life, close and loving relationships with others was highly recommended. “Generosity, kind words, beneficial help, and consistency in the face of events” are the things that hold a family together, according to the Buddha. This is the highest protection [from suffering]. “Happy people … see possibilities, opportunities, and success. When they think of the future, they are optimistic, and when they review the past, they tend to savor the high points,” say [researchers Ed] Diener and [Robert] Biswas-Diener. Buddhism doesn’t encourage us to have a false sense of positivity, but neither are these researchers. They’re suggesting that we find the good in any situation we find ourselves in. 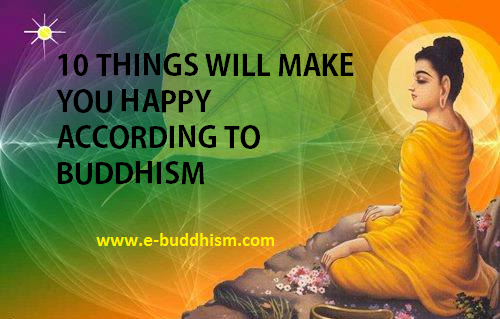 Buddhism encourages positivity through practices such as affectionate and helpful speech, where we consciously look for the good in ourselves and others. Gratitude in Buddhism helps us to align our being with the good (kusala) so that we’re more likely to live in a way that leads to happiness and wellbeing. And the Buddha said — well, I don’t think he said much about exercise! In a culture like the Buddha’s where most people worked manually, and where walking was the main form of transportation, there wasn’t much need to emphasize exercise as a thing in itself. It’s only in sedentary cultures like ours that people have to make a special trip to the gym to exercise — although they usually park as close to the entrance as possible to minimize the amount of exercise they have to do in order to get to the exercise machines! But walking meditation was, and is, a key practice in Buddhism, even though it’s sometimes done very slowly. However the Buddhist scriptures commonly mention that such-and-such a person was “walking and wandering up and down beside the river for exercise,” suggesting that monks, with their own form of semi-sedentary lifestyle, needed to set aside special time to get their bodies moving.